The 2017 Land Rover Range Rover Evoque is a very impressive vehicle, and its ample technology makes it stand out from other luxury vehicles on the road today. From safety to entertainment to information and everything in between, be sure to choose this new model for everything it has to offer. See for yourself what technology this new model includes. Technology always plays an important role, and drivers and passengers in the 2017 Land Rover Range Rover Evoque will enjoy being surrounded by the Meridian Digital Surround Sound System. The 825-watt system comes with 16 speakers, so you can have a crisp and clear sound no matter where in the vehicle you sit. Staying connecting while on the go in Washington DC is easy when you have Land Rover Range Rover Evoque technology. The InControl Touch Pro system is advanced multimedia. For starters, the 10-inch touchscreen makes it easy to find the information and entertainment you need. In addition, you can customize the home screen of this feature so you can easily access what you want exactly when you want it. Wouldn’t it be nice to use your smartphone inside your vehicle? You can, thanks to InControl Apps. With this feature, you can access your favorite smartphone apps directly through your vehicle. This means your life can be so much better because you can still stay connected even while away from home. 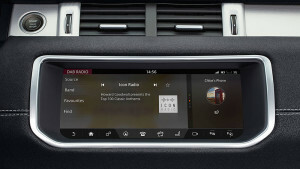 Aside from providing entertainment, the Land Rover Range Rover Evoque steps up technology by also keeping you safe. The Remote & Protect feature allows you to check your fuel levels remotely, locate your vehicle, record your adventure, and even check features on your vehicle. If you need help, you can also find the help you need. Besides the InControl Remote & Protect feature, the Land Rover Range Rover Evoque is also packed with safety technology that makes driving more enjoyable. For instance, blind spot monitor alerts you if an object is in your blind spot. The surround camera system provides you with an all-around view of your vehicle for ultimate safety. Finally, the full park assist helps make parallel parking easier on the driver, so finding a parking spot in Arnold is easy. The Land Rover Range Rover Evoque is a great vehicle for Baltimore drivers, and it’s filled with all the technology that makes it more fun and safer to experience the road. 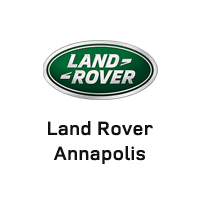 Visit Land Rover Annapolis today at 807 Ferguson Road in Annapolis to see our inventory. You can also contact us online to apply for financing or schedule a test drive.